Voice recognition is an incredible technology that in many cases will improve our lives at home. The convenience, the automation and integration capabilities truly make a device with voice a compelling option for many. We’ve seen tremendous advancements in accuracy and integration into consumer hardware which has lead the impressive adoption figures we’re seeing. Currently, more than 16 percent of the US population has a smart speaker and the analysts are predicting that number to reach 55 percent by 2022. 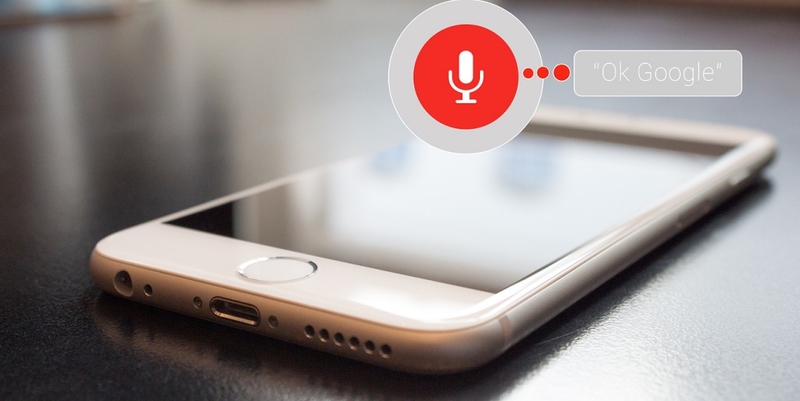 With regards to virtual assistants, 27.5 percent of Americans utilized Apple’s Siri, Amazon’s Alexa, Microsoft’s Cortana and Google’s Now in 2017 and that number is expected to continue to grow as functionality improves, accuracy increases and machine learning improves our experience. It’s certainly exciting times. But what does that mean for us? In our homes? While the future most certainly includes voice as the medium for many components of your home, there are some things you should consider now before going all in. Privacy: How protective of your information are you? You should understand the exposure you have when making the leap. Enabling voice control requires integration with any smart products you have in your home. This in turn requires data sharing. We have to trust that the technology companies we’ve purchased products from are taking the necessary precautions. With GDPR (the EU’s General Data Protection Regulation) looming and our own government following behind on regulation, at the moment data protection responsibilities lay squarely on the shoulders of Amazon, Google, Apple, Dropcam, Philips and the like. Additionally, it means you have a device that is constantly listening to you and waiting for commands. You have to decide how you feel about that. There are many instances where it just doesn’t make sense (yet). For example, do you have an accent? Is your home often loud and full of ambient noise? Do members of your household nap/sleep at different times? All things to consider before making a purchase and the internet is littered with stories of inadvertent purchases and command fails that lead to frustration and product abandonment. As is standard in the early days of any technology, there are multiple platforms and some products that don’t play nice with each other. The beauty of a voice-enabled smart home is being able to connect everything in one place and thus it’s important you take stock of the products you have to inform the future purchasing decisions you make. The last thing you want is to purchase a Nest and realize it doesn’t integrate with your current gear. Most major brands have integrations pages on their website (see Nest’s here) which should be your first port of call. I’d recommend latching on to one of the big three. Doing so ensures you have the protection of a brand that is taking security seriously and working feverishly to provide a fully-integrated smart home solution. Another thing to consider is how you shop and search the internet. With 50 percent of searching to be done via voice by 2020 and voice-enabled in-home shopping becoming a $40B market by 2020, it’s important to consider how ‘future you’ will be using the technology. Does new technology scare you? While things are getting easier, setting up a connected home requires some basic understanding of connected products, WIFI, hardware installation and integrating them all together. Some devices are harder than others, but you need to be able to navigate those waters in order to get real value out of your investments. While there are services like Puls available to help you get things up and running, the maintenance and troubleshooting is going to be on you. Considering studies show that most voice technology is adopted by older Millennials or households that have a child or grandchild nearby, it's important to take stock of your familiar IT resources. At the end of the day, incorporating voice technology into your smart home will give us another level of convenience in increasingly hectic schedules, but it’s not without its watch outs. If you do your homework and be honest with yourself, you’ll avoid the potential pitfalls we see many consumers run into as they take the plunge. About the author: Founder of ConnectSense, Adam Justice is an authority on all things smart home and Apple HomeKit. He’s developed connected products and platforms for numerous consumer brands, such as Moen. Most importantly, he’s on the cutting edge of the Internet of Things (IoT) industry’s drive to correct some of its current challenges.